The Citizen Health offering is now closed and is no longer accepting investments. Citizen Health is a public benefit organization rebuilding healthcare for the next generation. Our passionate community believes healthcare could and should be better. We’re capitalizing on the growing trends toward free-market medicine, the rise of Direct Patient Care, and the frustration people face from confusing medical bills & rising premiums. Utilizing the latest advances in blockchain technologies, wearables, and machine learning, we’re solving core problems to reinvent the way healthcare services are offered and purchased. 1. Humantiv, a collaborative operating system designed to optimize health & wellness by incentivizing people to pursue healthy lifestyles with the help of wearable technology. 2. Medoplex, an open & transparent marketplace where healthcare buyers & sellers transact directly in a free market economy without insurance intermediaries. 3. “Health as a Service,” personalized subscriptions for health & wellness based on members’ genetics, microbiomics, wearable data, and medical records. We’re not slapping new technology on old business models. We’re fundamentally redesigning a new economic system that changes how we pay for healthcare. Built by a team of startup founders, PhD researchers, doctors, and experienced hospital/insurance executives, Citizen Health is cultivating intelligent networks of people who understand both sides of the healthcare equation and have the experience to bring fundamental innovation to the complex medical system. Come with us on this mission! $0.02 per MDX token| When you invest you are betting the company’s future equity value will exceed $21M. Description: The "Medex" or "MDX" token will represent a single share of common stock of the company, with rights and preferences as designated in the articles of incorporation and summarized in the Offering Document. All tokens will be delivered after the campaign is completed, and upon availability of the Tokens. See Offering Summary below for additional terms. The core problem we're solving is how we pay for healthcare. By putting corporate profit before the health of people, we believe the fundamental health insurance business model is broken and conflicts with the patient and doctor's best interests. This leads to expensive medical bills, ever-increasing insurance premiums and doctor burnout. What if we blew up the whole healthcare system and started over? What if we utilized the best technology of today while building the technology of tomorrow? What if we brought physicians, patients, & caregivers to the table to discuss their wants and needs? What if we took all these ideas and redesigned a new healthcare system for the future? What would that look like? It would look like Citizen Health. Our core team has been developing the foundational architecture for Citizen Health over the past year. We've been actively developing Humantiv for the past 7 months and will be opening up our MVP pilot program mid July. This is a multi-phase development with only the MVP completed now. We need to spend the first 6 months refining our Proof of Health algorithm. Launching Q4 2018, we've partnered with Green Imaging & NewCare MD to provide their services on Medoplex. At a high level, we're building a new collaborative economy for health & wellness. The following assets, products, & services all work together to create this. The root problems in healthcare revolve around one common denominator -- money. Insurance companies take money from patients and give to doctors based on certain conditions. These entities are in place because they're moving "dumb" money around. This negative description is only meant to imply that traditional money does nothing on its own. Numerous intermediaries are needed for it to exchange hands. Now, we're entering the age of smart, programmable money made possible by the invention of blockchain technology. With this invention, we can be smart about our healthcare transactions and code much of insurance’s role into the money itself, eliminating intermediaries that don't provide value. We've invented a new form of money that is generated from the energy produced by you being active and pursuing a healthy life. Connect a wearable and start earning. This is a security token that represents a share in our company. MDX token holders can earn dividends from Medoplex transactions and also vote on the direction of Citizen Health. Credentialed physicians can tokenize their health services and offer them on Medoplex. These HSTs can be purchased directly without using insurance. Similar to the functions of a Health Savings Account, this unique asset holds MDT, MDX, and other cryptocurrencies. We believe this will be the future universal basic income account. 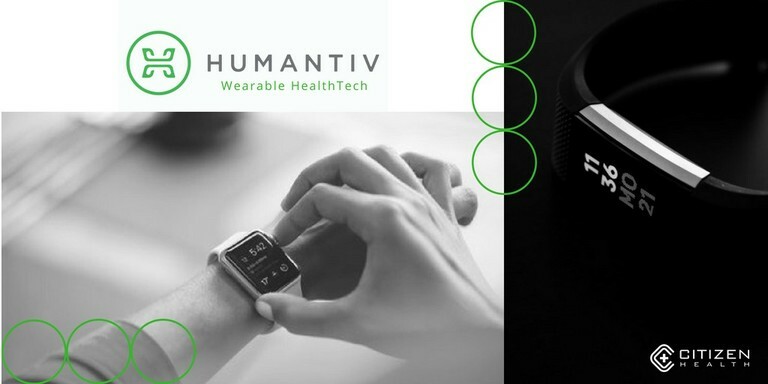 The initial purpose of Humantiv is to be an app that accurately measures the health of an individual by connecting & combining wearable data, medical records, and genetics into an easily understandable personal health score. With these data points, users now have their most comprehensive health record possible. To improve health, we must be able to measure it first. Once we can easily & accurately measure someone's health, we incentivize them to improve it. Using Humantiv, our Proof of Health algorithm tracks and measures the changes in a person's health over time. When certain metrics are hit and goals are accomplished, the algorithm generates a unit of value called a Medit. The more people do healthy things, the more Medit they earn. This cryptocurrency is intrinsically linked to the health of a person, and thus, the health of the population. Financial motivation alongside social motivation works magic. *Humantiv is currently in private beta. These are the mockups. Now that we have an app that can easily & accurately measure someone's health, and financially motivates them to be healthier, we then provide users with a place to spend their earned Medit. With one touch on the screen, a user can search among health and wellness professionals by quality, location (physical/virtual), price, and reputation. This is our Health & Wellness Marketplace, called Medoplex. Medoplex will be the economic engine driving Citizen Health. 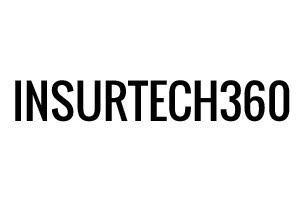 It's designed to be a 100% online transparent marketplace where healthcare "buyers" and healthcare "sellers" can connect & transact directly without the need of insurance intermediaries. Health services are represented as Health Service Tokens (HSTs), which are non-fungible tokens. HSTs can be purchased with both USD & Medit. Medoplex is still in development with multiple scheduled pilots for late 2018 & early 2019. Imagine Amazon's search, discovery, & ecommerce functions for surgeries, treatments, & doctor visits; eHarmony's compatibility ratings for patient-physician compatibility based on genetics & health history; and Uber's on-demand & efficient routing for coordinating the most cost-effective health service combinations -- all in real-time, with no insurance companies getting in the way. This is Medoplex. Step 2. Purchase & schedule the service directly from the doctor or facility for 50-70% less than it would cost with insurance. Step 3. Go to your appointment. Check-in on your phone and have all your forms already filled automatically. Step 1. Tired of dealing with insurance? Offer your services in cash prices and get paid directly & immediately from the patient. Step 2. Offer your services to self-funded employers. Once again, receive payment immediately without insurance. Step 3. Need to refer your patients to other doctors or services? Create your own referral network based on needs such as transparent pricing, quality, & location. Step 1. We analyze your medical claims data to show how we can save you money on healthcare expenditures. Step 2. Contract with doctors, surgery centers, and imaging/labs to purchase services directly for a 30-50% overall savings. Step 3. Create "Health as a Service" plans for employees with chronic conditions. *Medoplex and HSTs are still in development. HST images are mockups and do not represent the final product nor the actual price from facilities. This is where the power of blockchain comes into reality. Cryptocurrencies up until now have been "fungible" tokens. Starting in April, the Ethereum community is moving forward with "non-fungible" token standards. This allows for the creation of unique digital assets that can represent anything of value. We are applying this token standard to health services & products. If you're a doctor, think of all the CPT & DRG codes you bill insurance for after you see a patient. Now imagine your services are represented as HSTs and are available to be purchased directly by patients or employers. This means no more insurance billing headache. Get paid immediately as the patient leaves the facility, Uber-style. Buyers can purchase in bulk, over time, across locations. If you are a large self-funded employer, you can now find & buy health services for your employees in bulk and pay using creative methods. Without insurance, the whole world is your "network." Can be based on personal values physicians choose to disclose. Imagine the option to chose the doctor to deliver your baby. You can search by price, age, gender, religion, personal philosophies, and/or specific experience with your baby's genetics. Can represent scheduled time slots (MRI, diagnostics, labs, etc.). Just like airlines & hotels offer deals at the last minute for unbooked resources, we offer the same for medical services. Think of this as "Just in Time" medical delivery. Can represent complex episodes of care from multiple providers. Imagine buying a complete knee surgery with the imaging, surgeon, facility, anesthesia, physical therapy, medication, and medical equipment costs all combined into one simple price. Now that we have people pursuing healthy lifestyles using Humantiv, patients connecting to the best physicians for affordable prices on Medoplex, physicians practicing medicine how they desire under the Direct Patient Care model, and the underlying architecture to empower all this, we make the switch and drop the health insurance business model. We estimate these health subscriptions will launch throughout 2019. As stated above, we'll be launching our subscription services in 2019. This will be your typical monthly recurring charge that provides a much better consumer health & wellness service than the insurance status quo. Starting with Direct Primary Care doctors, we provide network memberships starting at $100/month. This gives doctors the ability to create their own direct pay network. Self-funded employers are next with a corporate membership allowing personalized plan development. We take percentages from each sold service similar to Amazon or Ebay. This will vary from 1-10% based on certain terms from the sellers. Medex token holders receive dividends from these transactions fees. We're opening our Medoplex, Humantiv, & Medit APIs for outside developers. For the first year, we'll actually be paying developers in Medit to use our APIs in health, wellness, & fitness apps. Once we have widespread network effects, we'll start charging for various enterprise plans. We're building off the growing movement of doctors who are quitting health insurance and going to a subscription payment model called "Direct Primary Care." DPC doctors face a common problem of referring patients to trusted specialists who accept cash payment. We allow all doctors to construct their own direct pay networks. To accurately diagnose patients, doctors need imaging & laboratory services such as MRIs & blood work. We're targeting independent diagnostic centers. Employers want to keep their employees happy & healthy. We will offer them ways to save money on health services and to increase the health of their workforce. Contractors, such as freelancers & Uber drivers, make up a significant portion of the workforce. With the "gig" economy steadily increasing, there is a large opportunity to serve this group with health services. 600,000 people file bankruptcy each year from unfair medical bills. 78% had health insurance. Doctors have the highest rate of suicide from any profession. The average health insurance premium for a family of four in 2018 is $28,000. In a decade, the estimate is $50,000/year. That's not sustainable. Health insurance companies don't have the patients & doctors best interests in mind. People are starting to see this. As any good investor knows, you need to invest in a solid team. We've formed a core group of experienced, talented, & passionate people who are driven to fix healthcare. As a whole, we've built digital health companies, hospitals, and teams. We've had many successes and plenty of failures. Best of all, we have the vision of what it takes to fix healthcare. This is our secret sauce. Do you want to continue paying higher health insurance premiums each year only to get less? This trend isn't stopping unless we do something about it. Our team is building Citizen Health for the next generation so our kids have it better off than us. This is our why. What's yours? "No one should lack medical care or go bankrupt paying hospital bills when we have the knowledge, technology, & resources to take care of everyone." You are purchasing equity (common stock shares) in our company. This equity is represented in the form of a ERC-20 security token called Medex (MDX). When & where can I sell my tokens? We intend for MDX to tradable on StartEngine LDGR, tZERO, and any other ATS upon launch of the services. We believe this may be in late 2018 or early 2019, but this is not guaranteed. Are there restrictions on token resale or transfer? (4) to a member of the family of the purchaser or the equivalent, to a trust controlled by the purchaser, to a trust created for the benefit of a member of the family of the purchaser or the equivalent, or in connection with the death or divorce of the purchaser or other similar circumstance. What happens if MDX tokens don't get listed on an exchange? This would limit the ability to quickly "flip" your tokens. You still own equity in Citizen Health, just like with any traditional investment. If you decide to hold your MDX tokens, you'll have the opportunity to share in the profits from Medoplex transactions. We believe we are building a better economic model than what health insurance currently offers. To achieve this, we must introduce new incentive systems, network effects, and positive feedback loops that align all peoples' goals toward rewarding health, not sickness. Blockchain technologies allow us to do this with the ability to quantify & tokenize health value giving us the opportunity to enable payments between patients & doctors with no insurance intermediaries. Citizen Health, a technology company building a decentralized health & wellness marketplace, announced today the launch of their public online investment round open to accredited and non-accredited investors globally. A remarkable proposition that has the potential to disrupt healthcare as we know it. Using first principles thinking, Citizen Health has deconstructed healthcare complexity down to the fundamentals and determined what components are essential for rebuilding healthcare with aligned incentives. 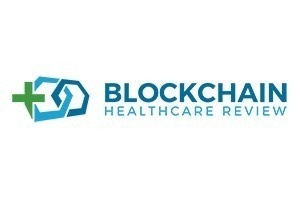 Blockchain Technology Review: Citizen Health Is Providing People A Voice! Rather than following the status quo, Citizen Health aims to fundamentally change the way healthcare services are paid for. Built using blockchain technology, this company is creating a global digital healthcare ecosystem. $70,000+ Same as above, plus our "Healthy Home" digital diagnostic kit. $100,000+ Same as above, plus a free year of a family subscription. *All perks and tokens will be delivered after the campaign is completed, and upon availability of the Tokens. **Humantiv is our first application and also the operating system for Citizen Health. We have a dual-token structure: a stable currency called Medit that is pegged at $1 USD, and a token called Medex which represents a share of Common Stock in Citizen Health. Description: The Medex Tokens will represent a single share of Common Stock of the company, with rights and preferences as designated in the articles of incorporation and summarized in the Offering Document. Exchanges: Tokens intended to be tradable on StartEngine LDGR, tZero, and any other ATS upon launch of the service. The right to receive future tokens and the offering of future tokens is being offered as part of this offering exempt from registration under Regulation CF. The promise of future tokens is contingent upon the successful development of such items. There is no guarantee that successful development will ever occur. Tax Advisory: Investors should consult their tax advisors with respect to the tax basis for Medex tokens. Citizen Health Project, Inc. will offer 10% additional bonus shares for all investments that are committed by StartEngine Crowdfunding Inc. shareholders (with ≥ $1,000 invested in the StartEngine Reg A+ campaign) within 24 hours of this offering going live. StartEngine shareholders who have invested $1,000+ in the StartEngine Reg A+ campaign will receive a 10% bonus on this offering within a 24-hour window of their campaign launch date. 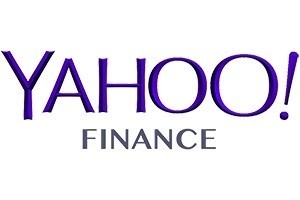 This means you will receive a bonus for any shares you purchase. For example, if you buy 5,000 shares of Common Stock (Designated as "Medex" or "MDX") at $0.02 / share, you will receive 500 Common Stock (Designated as "Medex" or "MDX") bonus shares, meaning you'll own 5,500 shares for $100. Fractional shares will not be distributed and share bonuses will be determined by rounding down to the nearest whole share. We were surprised to awake this morning with 12 hours left on the clock and 100 investors! We couldn't let it slip by that we are delighted and ready to move onward to the next phase of Citizen Health! If you would like to further get involved with us, we are beginning our open source projects this coming week. We are jazzed for Thursday. Already we have great people here who will work with us. We are finding the best talent and cannot wait to learn and collaborate with everyone. 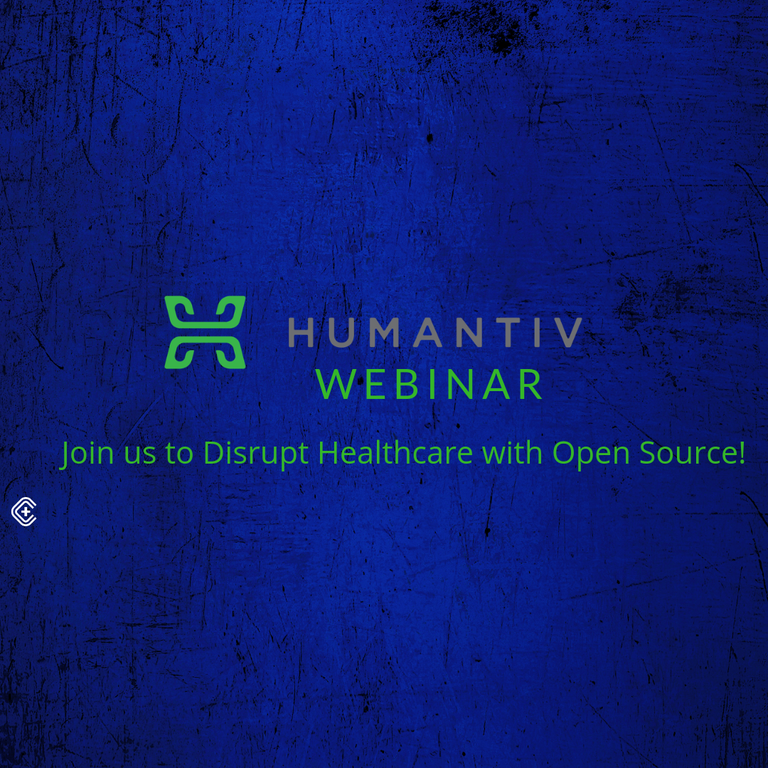 Please come to the Humantiv Open Source Webinar- we are looking for everyone- tech people, non-tech people, doctors, patients, caregivers, designers, data scientists, engineers, health coaches, social workers, non-profits, startups, teachers, community health workers... you! Basically, if you have an idea that could make healthcare better, or you just want to foster Citizen Health to the masses, this is your chance. Click the link above and register. All are welcome! Again, you have our thanks and we are ready to make Citizen Health the foundation of our health, wellness, and healthcare. Last Day of Citizen Health StartEngine Campaign... Thank You. The time has come for this campaign to close. We again thank you for your participation, questions, investments and all that you have done to foster our team and company. Your contributions and investments have made the Humantiv App possible, allowed for travel, and initiated the building of the Medoplex. We could not have done any of this without your belief and generosity. We will never forget these early days and how your gifts made it possible for us to have early success. We hope you feel good knowing that not only did you help this organization, but to the extension of others who will benefit from Citizen Health’s existence. We never stray very far from the fact that we all need better healthcare, quality healthcare, and affordable healthcare. We know our own personal experiences have weighed heavily into the building of Citizen Health. We draw on them frequently and know that we are not the only ones who have needed more from our healthcare system. Citizen Health is a collective group of people who stand united and committed to healthcare that works for all. We will accept nothing less and we will rebuild and reimagine healthcare that is beneficial, secure and hopeful. You began the start of Citizen Health. You are sitting with us at the table. Citizen Health is always yours. Yesterday, today and tomorrow- you have our gratitude. Brennen Hodge, Megan Janas, Nabyl Bennouri, James Cunningham, John Chamberlain & our extended Citizen Health Team. Only 2 days left to invest in Citizen Health! Just today and tomorrow remain for investment in Citizen Health! It’s the final hours! This past week has given us the chance to reflect on the future of healthcare, what it means for everyone and how we see our role becoming central to America and the world. Well, eventually, this is a huge idea, but we envision Mars needing a Health System too. That’s where we are headed in the very long term, but we expect to have the healthcare system there. The Medit and Medex are perfectly suited to operate globally and, therefore, interplanetary. There’s a far-reaching, and thus long-term vision for the future of Citizen Health. But first, let’s come back to Earth. In the immediate terms, we will first release Humantiv out of beta in January 2019. With our open source initiatives beginning next week, we can expect to have new features and perfected algorithms to upgrade the Health Score. Look for more data points and ways to earn Medit in Q1 of next year. Overall, and beyond just earning Medit, we are looking for the Health Score to shape more of our daily health habits. Our team will launch tools to help us reach our goals, complete challenges and receive notices and guidance as to how to maximize our daily activity. Humantiv is more of a personalized digital health assistant, and we look forward to making it an excellent health companion as we grow. We will continue to add functions and features that assist people, patients, caregivers, and doctors. We will continue to build out features on the clinical side, giving doctors more freedom, efficiency, and assistance with our Health Operating System, (HOS). We will continue to pursue partnerships and scale Humantiv to critical masses in 2019. On the investment side, Citizen Health will begin trading on OpenFinance’s platform. We will start that phase of operations shortly. Your security tokens will be listed here, and trading can begin one year from the close of this campaign. Here you can purchase Medex and add to your investments and holdings if you choose. (Some restrictions and terms may apply.) Other platforms to trade and invest will come online as we grow. We gave a general overview of the Medoplex from yesterday. If you missed that update, it is worth a read, because it outlines the vision for the Medoplex. Following testing of buying medical services on the Medoplex, we will officially launch this marketplace in a manner where doctors can quickly establish their place, and network. We even have some new jobs in mind for those that will be working in tandem with doctors to list their services. It’s a radical, fresh, and Uber-i-zation of medical and health services that really is a game changer. We can’t wait to see it in action and working to help people! Lastly, we will continue to network doctors, and patients to create new health systems and a brand new, state-of-the-art health economy. We will scale it here and around the globe. We will emphasize ease of record transfer, caregiver support, facilitating payments that you receive for sharing your medical data, and thinking more about the future of medicine, genetics, blockchain, and AI. There has never been a more exciting, knowledgeable and data-centered time in the history of medicine. We are boldly going into the final frontiers of our biology. What we will learn and discover in science, tech, medicine, and health will alter the course of our species indefinitely. We get to be the first people who made those discoveries. Perhaps, history will classify this time as when people first explored and settled the digital health world. There is so much we are looking forward to. This is but a snapshot of our plans. We will have a final update, tomorrow. As we wind down our last final days on the platform, we want to take a moment to share our plans with the upcoming launch of the Medoplex. Nearly a month ago, we began quietly building the Medoplex with a team of highly qualified designers and developers. We thoughtfully selected those that had already worked with similar applications in the past to maximize the design of Medoplex from the beginning. In this campaign, we outlined what the Medoplex is and does and included examples of what services would be available on this platform. We want to emphasize that the Medoplex is Amazon for Healthcare. It is a conglomerate of doctors, medical services, related supplies and products, and a one-stop shop to find all things related to health and wellness. We envision this online marketplace to fully take over how you locate and select doctors and your healthcare solutions. If you have ever used an insurance doctor finder, well, you know how difficult these are to use. We are completely transforming how you find a doctor and medical services, all while making this process easy. Entering card numbers, searching through lists of in-network, out-of-network, only in-network on Tuesdays when the moon is full- is not conducive or efficient to helping people when they need answers and help. The Medoplex will take care of this simply. It will help make recommendations, locating doctors nearby, by price, and even by matching you with doctor bedside manner. If you would like a doctor who is direct and no-nonsense, we can find that doctor. If you prefer a doctor who is funny, kind and empathetic- no problem- we can match you. We want the Medoplex to fill emotional and well-being needs as well as the physical care provided. Full circle, we will close gaps in care, by helping people find the services they need and give the public options as to how they find exceptional medical care. The Medoplex will be launched in beta mode in January of 2019. We have a handful of doctors, imaging centers, and surgical centers that will first pilot the Medoplex. We do have partnership spots open and available. Please contact us immediately to reserve your space on the Medoplex. Hello again from Boston... just 4 days left of Start Engine! We are still in Boston, spending time with the Society for Participatory Medicine crew and visiting with the GoInvo staff. We have made new contacts and friends, shared our vision and goals for the future and continued to spread the movement of Citizen Health. From yesterday, our first storyboard! Isn't this fantastic?! Along with getting the opportunity to speak at yesterday’s event, we are so thrilled to visit with GoInvo. They have been an influence and aide to our organization. We encourage you to get to know this establishment, as the work they produce is fundamental to transforming healthcare. They have shipped us posters of Social Determinants of Health, with many factors that impact and influence our health. We reference this to guide and shape our decisions in designing. We aim to understand, be inclusive, and sensitive to all aspects of health. They were also kind enough to release their first Open Source Health Journal to us in advance. We appreciate that! Additionally, their health graph has been optimal for our Health Score featured in the Humantiv app. We are looking to include them with our Open Source Projects upcoming. Finally, we are just about rounding out this Reg CF (Regulation Crowdfunding Campaign.) The last day will be this coming Sunday, 10/21/18. All investments will close at this time. You still can invest with us, if you have not done so already. And of course, you can share this campaign as well. Live from S4PM in Boston! Today, we are in Boston with the Society for Participatory Medicine's Annual Conference. This event takes place in tandem with the Connect2Health Conference and brings focus to doctors, tech, patients and collaborative health. This year, S4PM decided to break the conference into three key areas- Acting Together, Acting as One; Data: I'll Share Mine if You'll Share Yours; and You are How You Live. 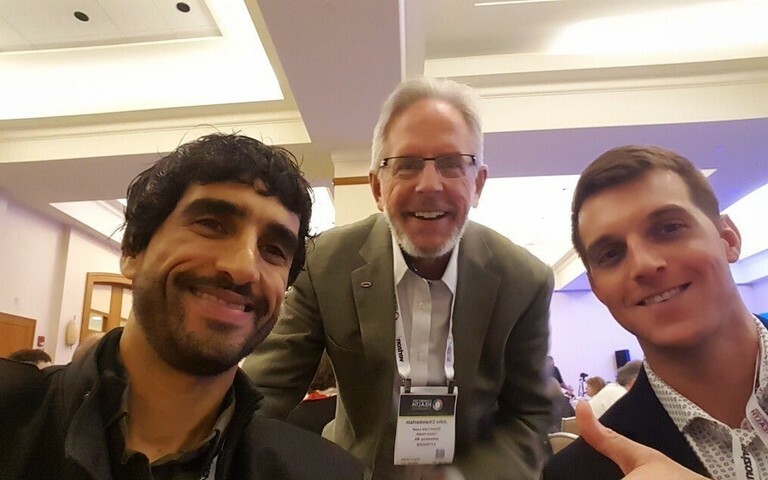 Here's the team enjoying the conference: from left Nabyl Bennouri ( Co-founder, Lead Developer), John Chamberlain (Direct Care Lead), and Brennen Hodge (Founder and CEO). Brennen Hodge presents during the afternoon session of Data. He is taking a futuristic approach to this talk, delving into healthcare in 10 years. Highlights include organs on chips, healthcare sustainability, healthcare run and owned by the people, open source initiatives, efficient and proactive care and more! Thanks, StartEngine Group! We are out to visit the offices of GoInvo tomorrow! 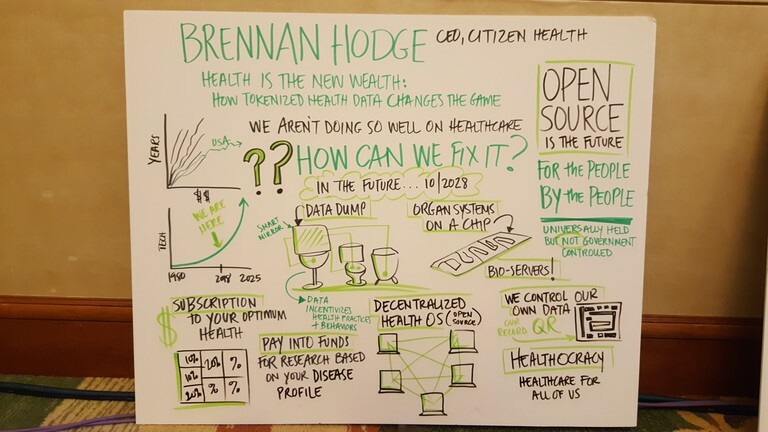 Citizen Health and OpenFinance... What's Next. Have a great day everyone! Look for our next update tomorrow from Boston at the Society for Participatory Medicine Annual Conference. We will be updating you daily as we close out our StartEngine Reg CF Campaign. This has been an incredible journey we embarked on back in April of this year. We began building Humantiv to unlock the value in our everyday activity, steps, and sleep. We are now moving on improving this app, and beginning to use open source innovation to perfect and scale Humantiv. We could not be more thrilled! Officially, we begin the Humantiv Open Source Initiatives next week. Here is a link to the Humantiv Webinar. We hope that you have had a chance to earn Medit while our App has been in beta mode. Here is a link to request an invite; Humantiv App. We anticipate that Humantiv will emerge from beta mode in Jan. 2019. You can keep earning Medit during this time! It feels great! Lastly, this Reg CF Campaign will close on Sunday, 10/21/19. All investments for this campaign must be received by then. Please share this campaign until then. We are grateful! Citizen Health is on the road, broadcasting blockchain and looking at healthcare in 10 years! We also had a booth (1st ever!) at the show and we were able to meet with many interested parties to make Citizen Health a global organization. While there, we connected with George Gilder (The Scandal of Money). It was an honor to meet with him, as he has been highly influential in markets, technologies and future innovations. Presently, he has a new book, Life After Google, highlighting the fall of big data companies and the notable rise of blockchain technologies and blockchain-based organizations. We are highly recommending his book to understand more about the future and blockchain. Find a copy on Amazon or your local Barnes & Noble. This is all made possible thanks to your support of this campaign. We will have more updates upcoming as we close this round. If you would like to share this campaign with interested parties, that's one more way you can help us. Last night, we came across a statement from Brene Brown, a researcher, and author, who reminded us that: "To bring change to the masses, we need courage." It takes courage to step forward and bring change to anything. It will require courage of the masses, to bring healthcare change to the masses. Your courage to speak up for health reform, for bringing us interested parties and partners; will make Citizen Health the future of healthcare. We have the formula, and we have you. Thank you for your courage. More updates to continue next week. Have a great weekend, StartEngine Investors! This is just a reminder that our campaign is coming to a close soon. If you still want to get in, you only have 14 days. 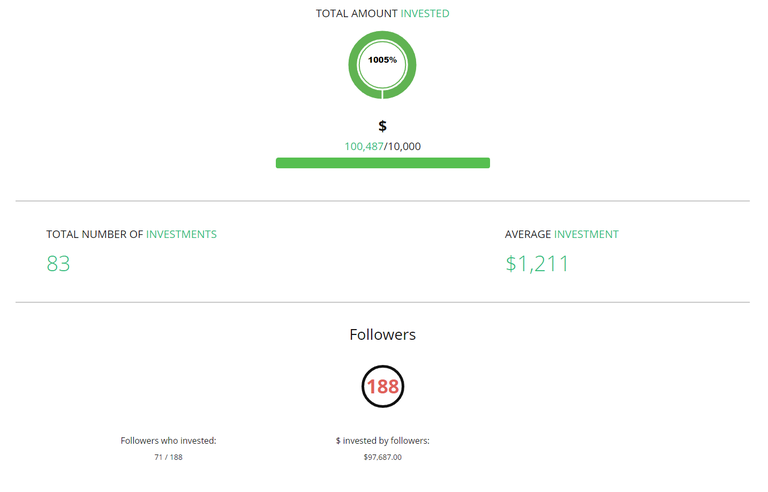 If you have invested already, thanks so much for your support! We broke $100k! Only 26 days left to invest! 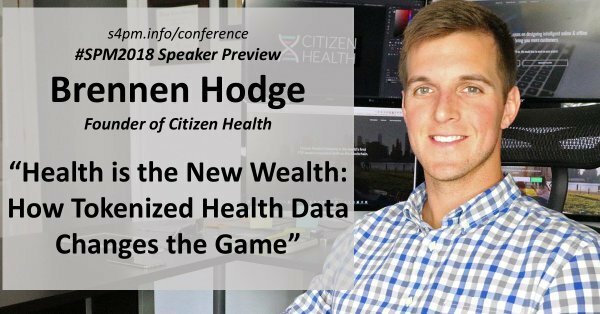 Brennen Hodge here, Founder & CEO of Citizen Health. Great things are happening with our startup, and I'd like to share the updates with you. First of all, our campaign just past $100k! Thank you all for getting us this far! If you haven't invested yet, our campaign only has 26 days left. 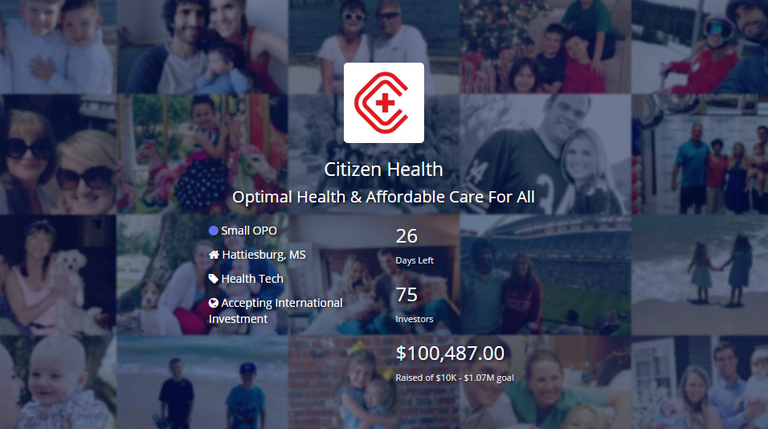 If you believe healthcare is broken and needs to be fixed, please go to https://www.startengine.com/citizenhealth and invest at least the $400 minimum. Help us build something our kids and older selves can benefit from. I see that out of the 188 followers our crowdfunding campaign has, only 71 have invested. My question to the 117 people who are interested, but haven't invested yet: Are you unsure about something? If you need to know more before you pull the trigger, please book a time at your convenience for a call or video meeting with me: https://calendly.com/brennenhodge/. On the development updates, we just hired on a team of 4 developers to continue development on Medoplex. We already have multiple surgery centers and imaging facilities across the country ready to join. Our "go live" date is January 1st. Free market economics is about to flourish in healthcare! Humantiv is still humming away. We have close to 250 beta testers giving feedback. We've also brought on a data scientist to help with the health scoring system. I'll be speaking at a few conferences the rest of 2018. 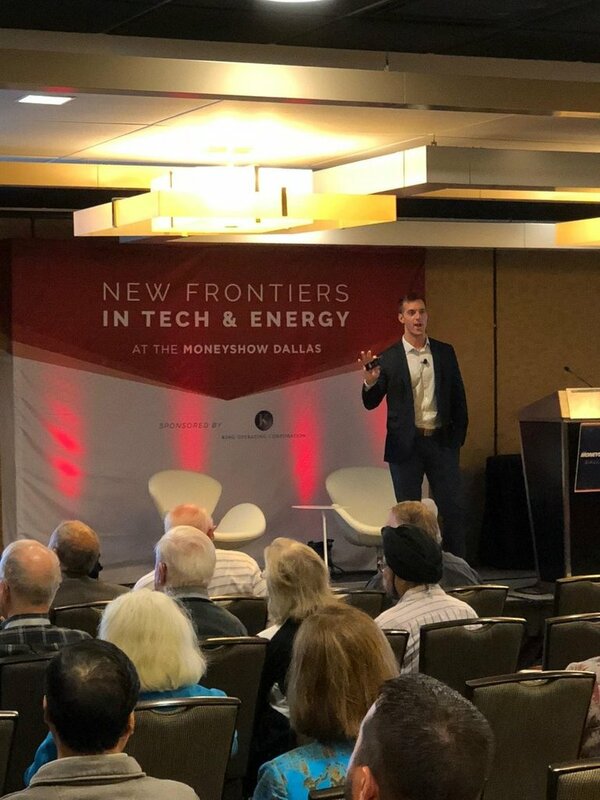 One is in Dallas next week for the MoneyShow. One is October 17 in Boston for the Connected Health Conference. Then another is at Distributed Health in November. If you missed the big news last month, we've signed an agreement with OpenFinance to list Medex (our security token and what you get by investing) on their trading platform. This is big. Other than that, thanks for your time reading this! Help us finish strong! As you might know, Citizen Health has exceeded its minimum funding goal. When a company reaches its minimum on StartEngine, it's about to begin withdrawing funds. If you invested in Citizen Health be on the lookout for an email that describes more about the disbursement process. Brennen Hodge speaking engagement at Health:Further; Have you downloaded Humantiv? Additionally, we have released a public beta test of the Humantiv App. Please join in the test with us, you can begin earning Medit! Feel free to share the App Invite with friends, family, co-workers; it is open to anyone who would like to participate. You only need an Android or Apple iPhone to get started. Humantiv also works with: Apple Watch, Fitbit (all models), Misfit and Nokia (Withings). And these Apps are compatible: Apple Health, Map My Fitness, Runkeeper and Strava. Our early testing is going well. We are pleased with our preliminary findings. If we can answer any questions, please reach out. We are loving every second of what we are doing and are thrilled for the future! 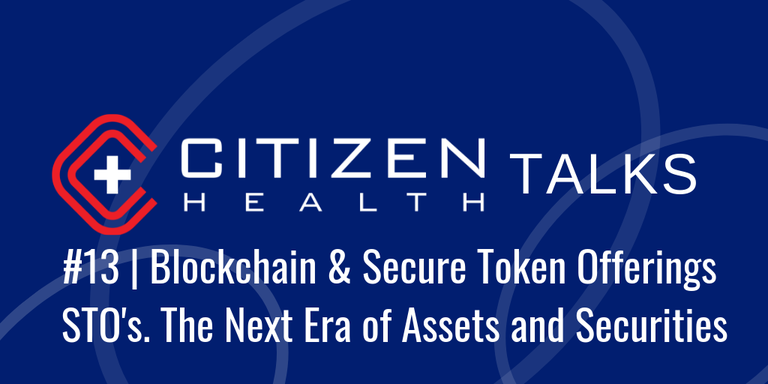 Citizen Health, a public benefit organization rebuilding healthcare for the next generation through blockchain technologies, wearables, and machine learning, has entered an agreement to list security tokens on OpenFinance Network (OFN), the trading platform for tokenized securities. OFN serves a global network of investors across various securities offerings types, including Regulation D and Regulation S, Regulation A+ and Regulation CF, and has established a number of key partnerships throughout the crypto and blockchain industries. “The status quo isn’t cutting it in healthcare. Doctors are burning out and patients are going bankrupt dealing with health insurance. There is a better way, and we at Citizen Health are building it. Citizen Health is powered by a combination of 4 crypto assets, our health & wellness operating system called Humantiv OS, and our decentralized marketplace called Medoplex. These developments work in conjunction to create a new health economy, owned and controlled by the people,” explains Citizen Health Founder & CEO Brennen Hodge. Incremental changes will not solve this massive problem. We must start fresh with a new economic model. Tokenizing our company’s equity and partnering with OpenFinance is a bold step forward to do that. The OFN platform is now live. Sign up to join the network todaywww.openfinance.io. Citizen Health is a community of people from around the world building a decentralized free market healthcare system with a focus on proactive health & individual empowerment. Citizen Health is developing multiple software & hardware products to power both sides of the marketplace, helping employers & families save on health expenses while also eliminating doctors’ EHR/insurance frustrations. Citizen Health is a Delaware Public Benefit Corporation operating on the public Ethereum blockchain. The company is using Polymath’s Security Token Standard Protocol to issue security tokens that represent the company’s equity. We've relaunched our crowdfunding campaign! Other news -- We're starting two pilot programs soon with Green Imaging & NewCare MD. This will be our first pilot for Medoplex, our decentralized health & wellness marketplace. We're launching the public beta for Humantiv on August 15th. Pre-register and receive $200 in Medit! Lastly, our Medex token will be trading on Open Finance soon! We're working on the details now. Citizen Health has extended their campaign for 60 days, made updates to their campaign page content, updated irregular use of proceeds, updated the number of full time employees, and added an amendment to the Articles of Incorporation to include proper language. This will be an "Ask Me Anything" type discussion, so bring all questions. It will also be livestreamed to YouTube. Citizen Health has extended their offering for 60 days. We've been getting excellent feedback on Citizen Health and appreciate all the support! Keep it coming! Many of you have asked about our actual business model and how this ambitious project will be brought to life. I'll admit, we have bold plans that don't seem quite clear (or feasible) from an outsider's perspective. This is mostly because our StartEngine campaign does not adequately focus on the specifics of WHAT we're building and HOW we're doing it. There are too many buzzwords and marketing hoo-rah. We're working on fixing that now. This will be an "Ask Me Anything" type discussion, so bring all questions. It will also be recorded and uploaded to YouTube. One big topic tonight will be on our initial revenue-generating product, which is a 100% transparent online, health & wellness marketplace called Medoplex. This is where healthcare buyers (families, individuals, employers, governments) and healthcare sellers (doctors, clinics, labs, hospitals, etc.) can transact directly without the need of insurance intermediaries. This is the "Market" in "Free Market Healthcare." Join us tonight to learn more!